After a competitive tendering process, Jubilee Hall Trust (JHT) is delighted to announce that they have been awarded a new contract to manage the Westminster Gym in the Houses of Parliament. Jubilee Hall Trust is a registered charity and they have been successfully delivering the existing gym and wellbeing service contract since 1999. In that time, JHT has grown gym membership, increased the range and quality of services and received excellent feedback. 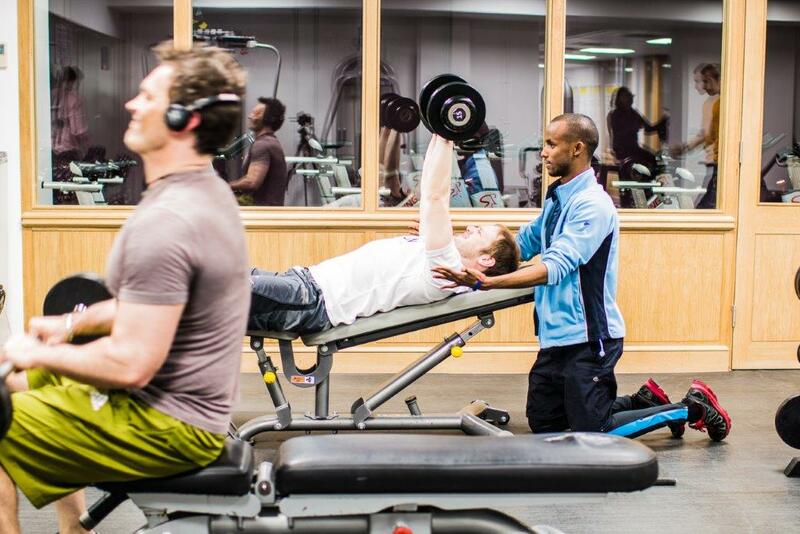 In the last user survey, 100% of gym members said that the staff service was good or excellent. ‘We are very pleased that the Parliamentary Authority has seen fit to offer us a renewal of our contract. We are a small operator in a highly competitive central London market, and we know that they had many other organisations bidding for this prestigious opportunity. We have always believed passionately in the important need for the two Houses’ Members, Peers and employees to have a facility for physical activity and a service for wellbeing, and our exceptional staff team have been delivering this to a very high standard for some time. It is they who can take great credit for this endorsement. ‘As a long-established charity, we offer substantial discounts of up to 75% off the full prices at our three public clubs for low income groups, and we also run a wide range of community programmes. We will use all surpluses generated by this contract to further our charitable aims or to re-invest in our facilities. No surpluses are distributed to shareholders, and the Westminster Gym service will be provided at zero cost to the taxpayer. Jubilee Hall Trust is a Great Place To Work! Jubilee Hall Trust wins Small Employer of the Year award! 'Oscars' awarded at Jubilee Hall Trust event! Join Chrissie's Annual British Heart Foundation Walk/Run on 20th May! Jubilee Hall Trust Athlete Ambassador, Nathan Fox, to go to 2018 Commonwealth Games! Jubilee Hall Trust is a finalist in Small Employer of the Year! Huge success for Run For Your Life! Our New Spinning Studio with Virtual Classes opens! Our Athlete Ambassador Nathan Fox gets ready for World Championships! Run for your Life! A longer one, that is. Jubilee Hall Trust are finalists in Sporta Awards 2017! Nathan Fox jumps new indoor personal best in Birmingham! Awards fever at Jubilee Hall Trust! Jubilee Hall Trust wins national award! Jubilee Hall Trust shortlisted for Employer of the Year! Fun Runs for all the family on Hampstead Heath! Torriano School Summer Club a great success! Run for Your Life this Saturday! Get ready for National Fitness Day on Wednesday 7th September! Give It A Go Festival a huge success! Do Something Amazing...put your trainers on! Come along to our FREE Summer Energy Club in Camden! The Big Dance Bus gets everybody moving! Exercise is the best diet! Building even healthier communities in 2016! Jubilee Hall Trust in triple awards success! 96% of Staff Proud to Work for Jubilee Hall Trust! Jubilee Hall Trust gets 350 children more active with the Energy Club! Jubilee Hall Trust are finalists for Small Employer of the Year award! Gym members delighted with service! Jubilee Hall Trust shortlisted in Active Training Awards! Jubilee Hall gyms raise £1300 for Nepal Earthquake Appeal! Places selling fast for our 10k charity run on Hampstead Heath! Think you are too old to run? Enter our 10K charity Trail Run on Hampstead Heath! Working with GP's to improve the health of the nation! Camden schools to get more active! Sally Gunnell OBE awards Jubilee Hall Trust staff their 'Oscars'! Sally Gunnell to present Jubilee Hall Trust Staff Oscars! Join the Hampstead 4 Heart Fun Run/Walk! Every Minute Of Exercise Could Lengthen Your Life Seven Minutes! Camden Active Spaces activated by Jubilee Hall Trust! New Matrix cardio kit for The Armoury and Jubilee Hall! A good week for Jubilee Hall Trust! Please vote for Jubilee Hall gym in #BestGym awards! Jubilee Hall Trust reach three finals in the Active Westminster awards! Jubilee Hall team to tackle Tough Mudder! Jubilee Hall ranked in Top 100 gyms! National Fitness Day gets everybody moving! Join in National Fitness Day for FREE on Friday 26th September! Armoury gym member cycles 1400 miles for charity! Jubilee Hall nominated for award! Fantastic new Matrix gym equipment...coming soon! Action Dan a big hit on the web! Nominate someone special for an ActiveWestminster Award today! Give It A Go on Sunday 20th July! Big Dance Bus a huge success! Jubilee Hall Trust's FLAME Awards finalist invited to Parliament! More healthy eating programmes for Southwark! Jubilee Hall Trust team completes Snowdonia Charity Challenge! Getting ready to go Football crazy? Jubilee Hall Trust Fitness Instructor in final of national awards! Do you want to train A.R.D.? No time for a long workout? Try our new 30-minute Les Mills G.R.I.T. classes! MPs v Talksport 5-a-side Football at Colombo Centre! New Functional Training Zone coming to Jubilee Hall! Armoury gym member crosses Atlantic! Fantastic new Les Mills workout classes launched at Jubilee Hall! Monday Night is Ladies Night at Jubilee Hall! New Spinning Studio for Jubilee Hall! Aged over 70 and running the London Marathon this year? New Indoor Cycling Studio at Jubilee Hall! Getting Covent Garden's children more active! Jubilee Hall in awards final! Free Bhangra fitness class to celebrate Diwali in Covent Garden! Time to get back in the gym? The Armoury's Liz wins national award! Is Jubilee Hall Trust better than GLL and LA Fitness? Last chance for FREE Zumba! Active Westminster Awards are now open! Covent Garden goes Zumba crazy! The Armoury enables Camden residents to Give It A Go! Run the most famous mile in the world! Fancy running in Monument Valley USA (in Covent Garden)? Cycling from London to Paris for charity! The Armoury gym is saved! Aerobic exercise can prevent impotence! Giving It A Go at The Armoury! Child weight-management programme full to capacity! Jubilee Hall Trust wins Parliamentary gym contract! Jubilee Hall Trust highly commended! GIve It A Go in January for free! No price rise for concessions in 2013! Jubilee Hall Trust nominated for two awards! Putting a New Spin on Things! Would you like your children to eat more healthily and be more active? NBA House event at Jubilee Hall attracts record crowds! Wow! What an amazing Olympics that was! Big Dance Bus is a Thriller! The Big Dance Bus is Coming to Covent Garden! Give It A Go 2! Jubilee Hall Trust Staff Oscar Winners Announced! London to Zambia Gym Challenge at Jubilee Hall! MEND programme a great success! Guest speaker for Jubilee Hall Trust Staff Oscar's named! ActiveWestminster Free Weekend of Sport! Concession prices frozen for seventh successive year! Can you really get fit by doing just three minutes exercise each week? Getting Ready for the Olympics! Jubilee Hall Trustee appointed MBE! The waiting is over! 2012 is finally here! What is the single best thing we can do for our health? Merry Christmas from all at Jubilee Hall Trust! Getting Fit Outdoors For Free! Get Fit Outdoors For Free! Staff 'Oscars' Night a huge success! Jubilee Hall Trust praised by House of Lords! Get Active Outdoors For Free! Wow! The new gym kit is here! Colombo Centre Summer Camp a success! New Gym Equipment - Coming Soon! Free MEND programmes for overweight children! Jo Booth wins Staff Oscar! Colombo Centre signs up 1000th member! The Jubilee Hall Trust builds strong healthy communities by promoting the fitness and wellbeing of the individuals within them. We make a measurable difference to the health and lives of people within our communities. © 2019. The Jubilee Hall Trust is a charitable sports trust, Charity No. 273562. Jubilee Hall Trust Limited, Registered in England and Wales. 30 The Piazza, Covent Garden, London WC2E 8BE No. 01310649.